Additional Info: Tv to watch DVDs in small Bedroom. En-suite in Master Bedroom. 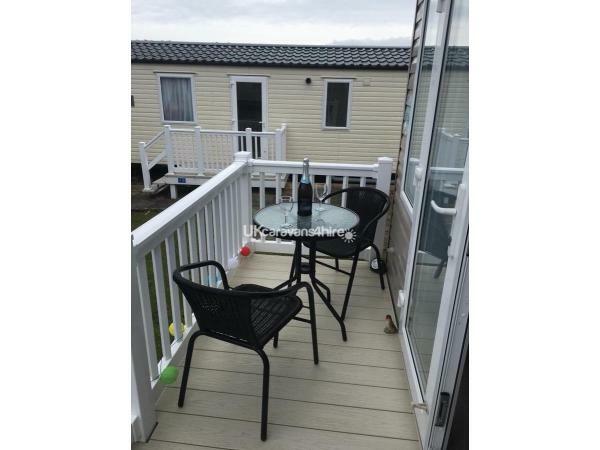 Hi welcome to our 2 bed deluxe caravan with decking. The caravan has 2 bedrooms and a pull out sofa in the living area. The master bedroom has an en-suite toilet and a king size bed. Small bedroom has a Tv that plays DVDs only. 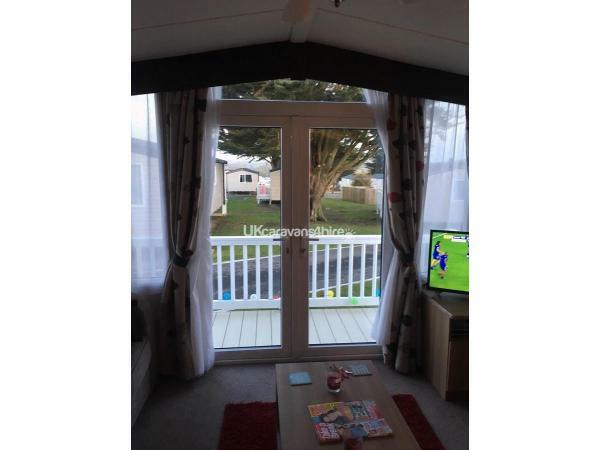 Caravan is fully CH has a full size fridge freezer DG the decking area has a lovely view to the hills on the right and behind the hill is the beach. 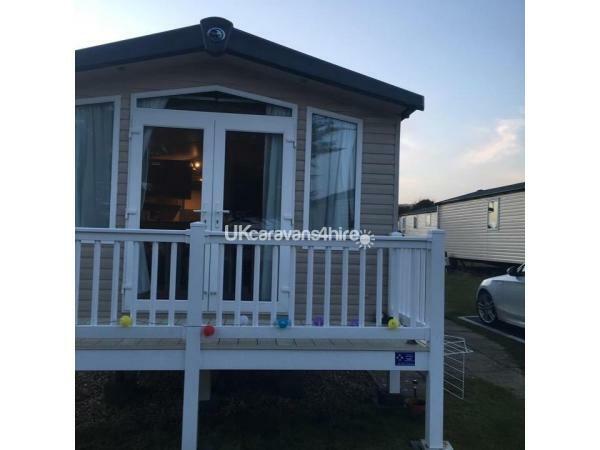 Patio with patio furniture on and also a parking bay next to caravan. 32 inch TV with a separate DVD players. Lots of DVDS to watch. We have a panini maker and 4 slice toaster. 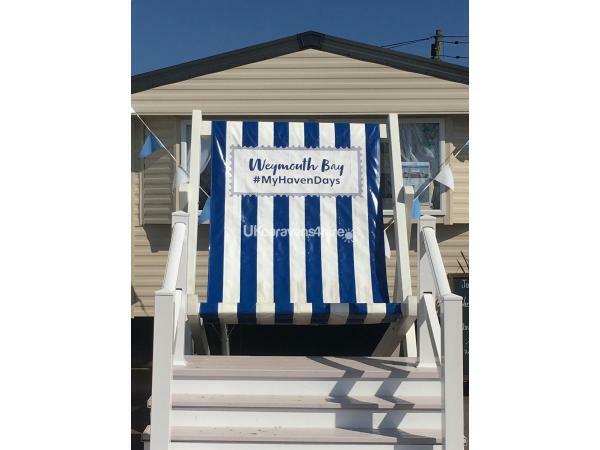 Quilts pillows are included but you need to bring your own linen ( can be hired on site ) Weymouth Bay has Entertainment restaurants papa John. Lots for kids. If you but the haven passes you can also use Seaview site next door. There is a bus stop right outside the site is you need to get into Weymouth. 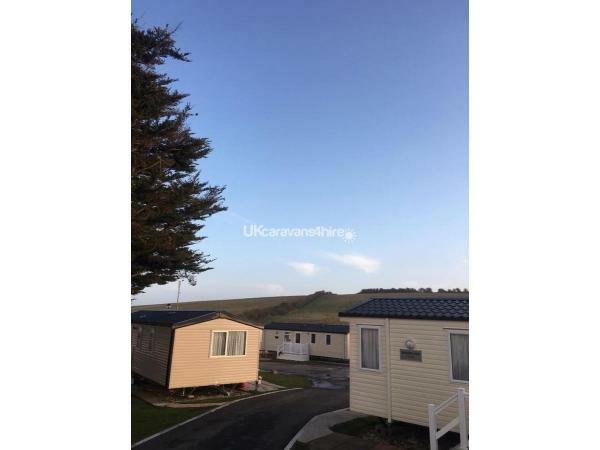 Dorset is know as the Jurassic Coast and there are some beautiful places to see including Durdul Door monkey world Sealife and loads more.please note passes and linen are not included in the price but can be purchased on site . We have recently had Wi Fi fitted so if you would like this then for a small fee we can offer this . Additional Info: This is a Haven site . Kids club . Restaurant, papa johns . Indoor and outdoor pool . Crazy golf . Park . Bungee . Nightly entertainment and kids clubs .